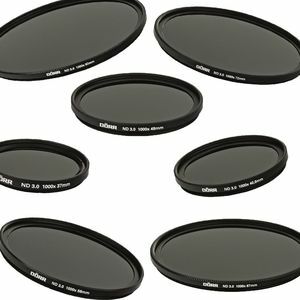 The ND3.0 1000x filter extends the exposure time by factor 1000, which corresponds, to 10 f-stops. Example: an exposure time of 1/1000s can change to 1s using the ND3.0 1000x neutral density filter. As an effect of longer exposure time, you can for example "eliminate" people moving on squares or landscapes.